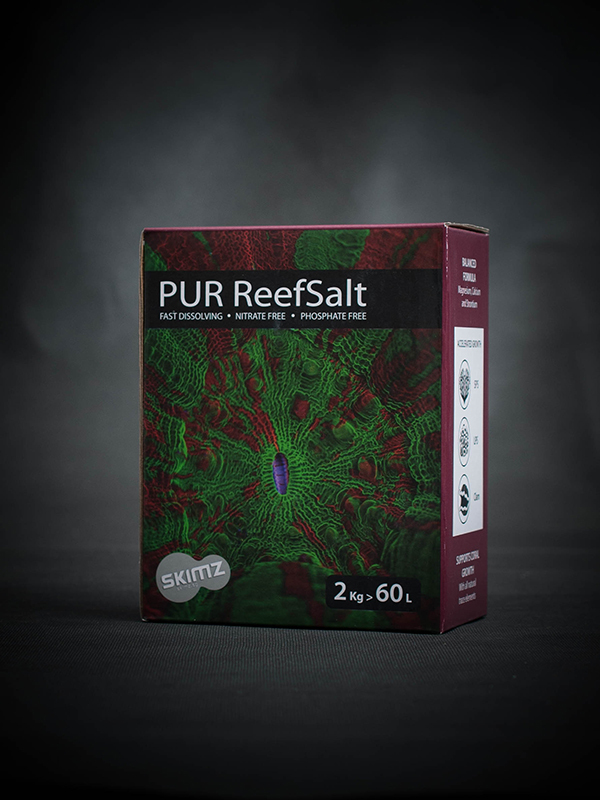 SKIMZ PUR ReefSalt is specifically formulated for the reef environment, and manufactured using only the highest quality raw materials. 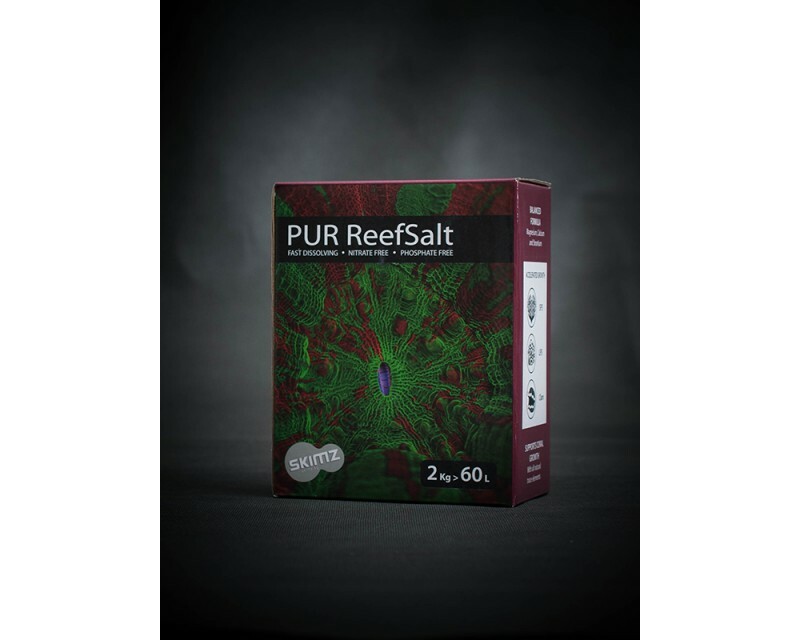 It contains elevated levels of calcium, magnesium, strontium and other essential elements for coral growth and skeletal structure development. 1. For best results, mix with distilled or reverse osmosis water. If tap water is used, ensure it has been properly de-chlorinated. 2. 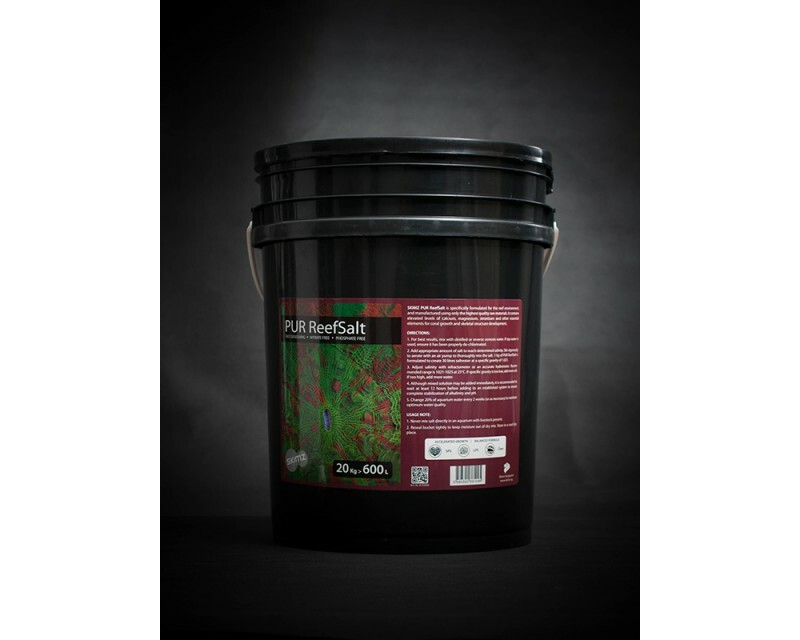 Add appropriate amount of salt to reach determined salinity. Stir vigorously to aerate with an air pump to thoroughly mix the salt. 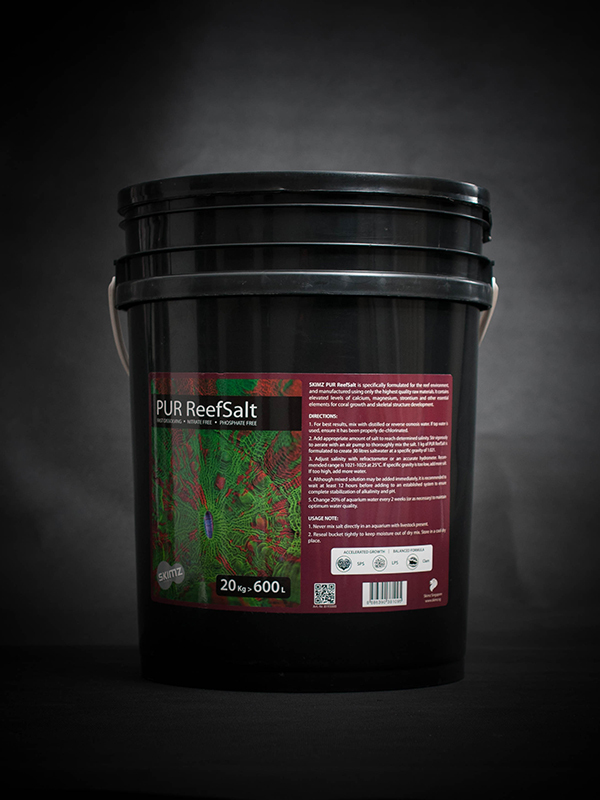 1 kg of PUR ReefSalt is formulated to create 30 litres saltwater at a specific gravity of 1.021. 3. Adjust salinity with refractometer or an accurate hydrometer. Recommended range is 1021-1025 at 25°C. If specific gravity is too low, add more salt. If too high, add more water. 4. Although mixed solution may be added immediately, it is recommended to wait at least 12 hours before adding to an established system to ensure complete stabilization of alkalinity and pH. 5. Change 20% of aquarium water every 2 weeks (or as necessary) to maintain optimum water quality. 1. Never mix salt directly in an aquarium with livestock present. 2. 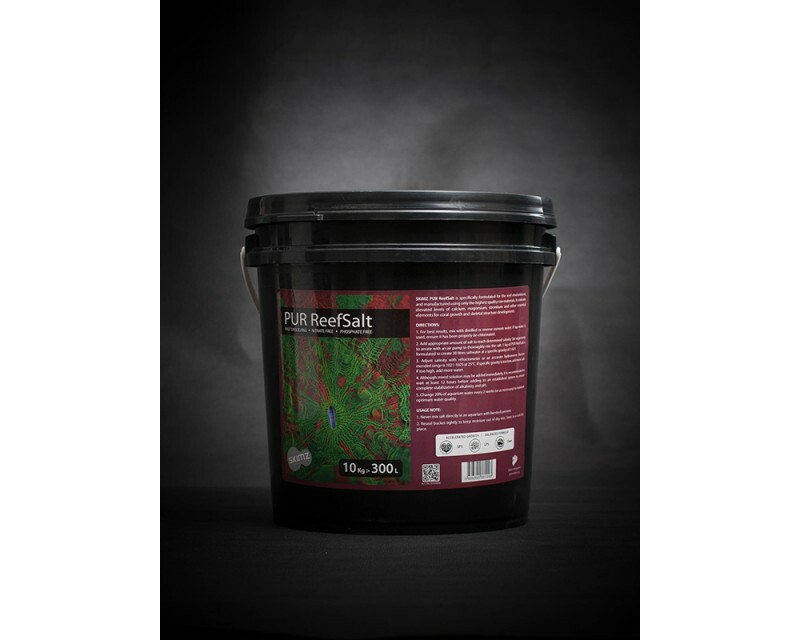 Reseal bucket tightly to keep moisture out of dry mix. Store in a cool dry place. Available in 2kg, 10kg and 20kg.